Most vehicles now have a protective, transparent, plastic lens covering the headlights. These lenses protect expensive lamps from flying stones and road debris but they discolor over time. Becoming opaque and cloudy, these lens can severely restrict the amount of light reaching the road. 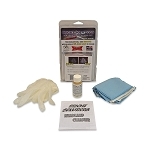 Our Professional Headlight Restoration Kit will service up to 30 vehicles or 200 square feet. Bright Solutions is a patented process that closes and seals the headlamp to restore and preserve that "new look" for years. 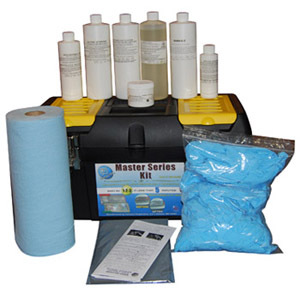 The kit comes in a reusable tool box that contains all the products required. Our Commercial Headlight Restoration Kit will service up to 75 vehicles. Bright Solutions is a patented process that closes and seals the headlamp to restore and preserve that "new look" for years. 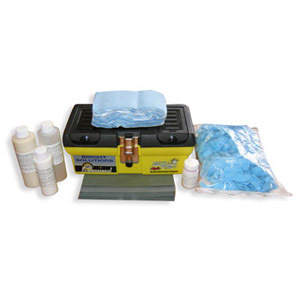 The kit comes in a reusable tool box that contains all the products required. Detail King offers four professional headlight restoration kits so you can provide the best headlight restoration services for your customers. Offering headlight lens restoration can be very profitable and is a great add on service. 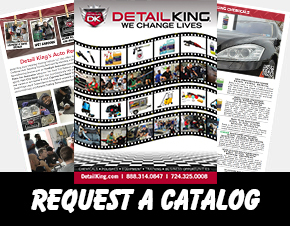 We even offer customizable flyers on a CD so you can advertise your headlight cleaning and auto reconditioning services. 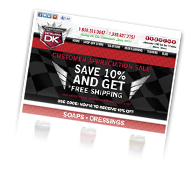 The flyers (rack cards) are designed to promote your headlight cleaning service – all you have to do is insert your contact information and pricing. Some of our foggy headlight restoration kits come with a pneumatic palm sander and come in handy if you plan on restoring a large amount of headlight lens every day.